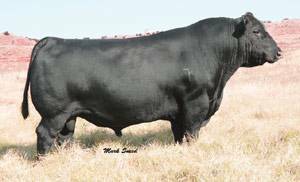 This low 6 frame bull is heavily muscled with a big hip and a strong top. He's a deep, soggy kind of bull with great feet and legs. Frontman's dam has had 7 calves with a 93 BW ratio and 103 WW ratio.